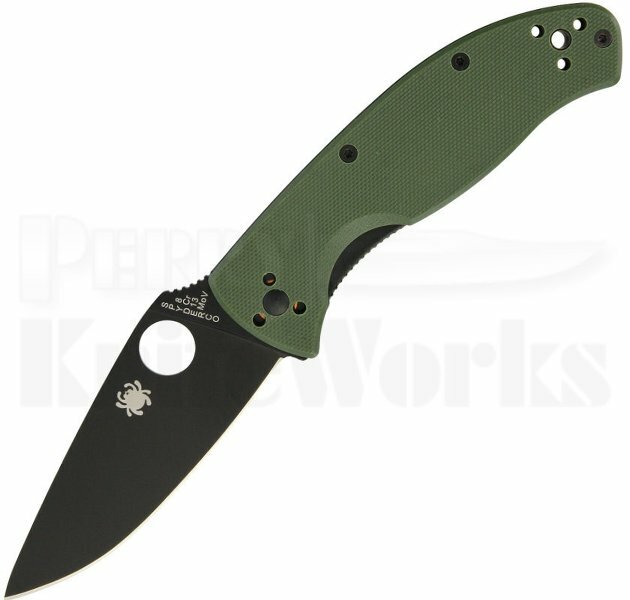 This Spyderco Tenacious has a green G-10 laminate handle, milled with prolonged fatigue-free cutting in mind. Tucked inside are skeletonized steel liners increasing the handle\'s rigidity and strength without adding non-functioning weight or bulky thickness. The 8Cr13Mov stainless blade is leaf-shaped and ground flat from spine to cutting edge for cutting performance.